Representative Kim Han-gil of the minor opposition People’s Party stepped down Friday as a co-chairman of the party’s election campaign committee. In a text message sent to party members, Kim said he was resigning because the party’s Co-Chairman Ahn Cheol-soo refused to accept his call to form an alliance with the main opposition Minjoo Party of Korea. 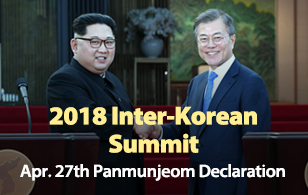 Kim said he met with Ahn and the other co-chairman of the party, Chun Jung-bae, Thursday night, and strongly appealed to them that the pan-opposition alliance is necessary for the Seoul metropolitan region to prevent a sweeping victory by the ruling Saenuri Party in the April 13th general elections. Kim also argued that an alliance with the Minjoo will help the People's Party increase the number of parliamentary seats, but Ahn remained strongly opposed to joining hands with the bigger opposition party. 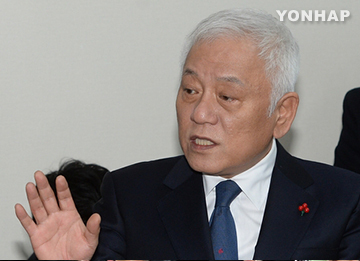 Asked to articulate his views on pan-opposition alliance, which was initially proposed by the Minjoo Party of Korea's interim leader Kim Jong-in, Kim Han-gil admitted the proposal requires much contemplation and intense discussions. But, he said an effort to overcome the two-party system in the country’s parliament should not be used to consolidate the monopoly of the Park Geun-hye administration and the Saenuri Party, indirectly criticizing Ahn, who has bid to become an alternative voice in the opposition camp.